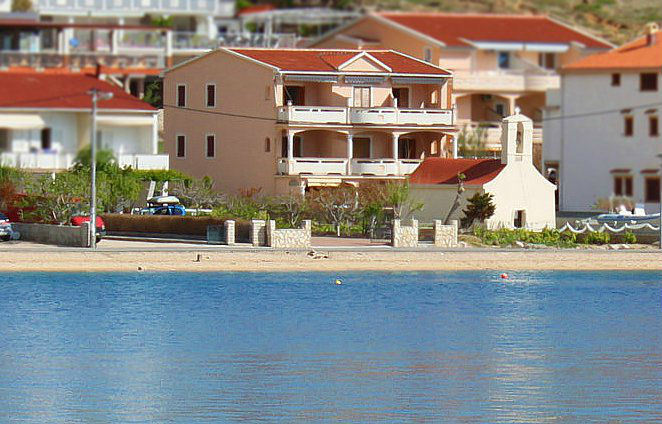 Apartments "Žutenica" are in a small and quiet fishing village Metajna, 12 km away from Novalja. We can offer 8 apartments of various sizes, so everyone can find accommodation for themselves. The house is located only 20 meters from the sea and beautiful sandy beaches. All apartments are fully furnished and equipped with tv / sat. All apartments have air conditioning, except for two on the ground floor. Visit us and spend a pleasant and peaceful holiday in Metajna.